Germany is the center of the gun world this week. Now through March 9, 2015 Nuremberg (Nürnberg) hosts the IWA Outdoor Classics trade show, Europe’s largest gun-related exposition. Nearly 1400 exhibitors will be displaying new guns, shooting accessories, and hunting gear. We know many of our readers would love to experience the IWA trade show first-hand, but traveling to Europe is impractical. Well for you guys, here are the keys to the castle. Just follow the tips below and you can preview thousands of products currently on display in Germany. If you want to see all the guns and gear featured at the 2015 IWA show, visit the IWA Products Page on the web. There you’ll find descriptions of 4707 featured products, everything from ballistics software to safari rifles. Click on the “New Products” link to see 554 featured new items. You can browse all new products, or Choose Product by Category. 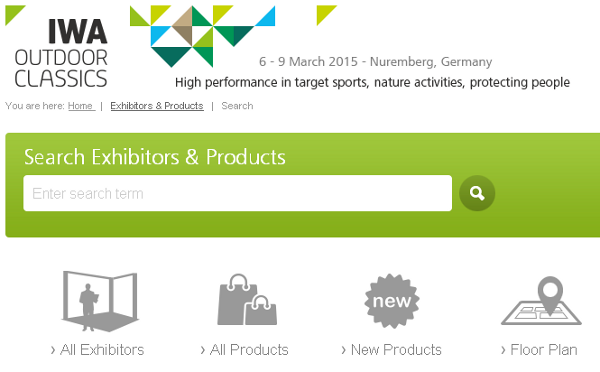 For the main product categories (Such as Guns, Ammo, and Optics), you can further search by subcategory (e.g. Guns > Rifles, or Optics > Rangefinders). 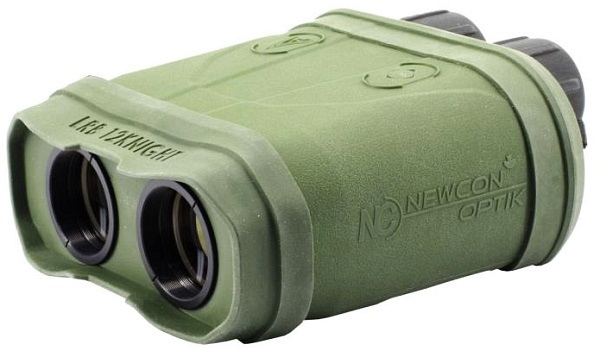 The LRB 12K and LRB 12KNIGHT from Newcon Optik are built to outperform any handheld laser rangefinder binocular available today. Features include: A 12,000m (NATO target) measuring range, built-in digital magnetic compass, built-in GPS receiver, and in the LRB 12KNIGHT a Gen 3 night-vision channel. Through USB and RS-232 interfaces, the LRB 12K and LRB 12KNIGHT can be operated remotely, and transmit data to external GPS systems and ballistic computers. Both units can communicate with Android™-based smartphones and tablets. 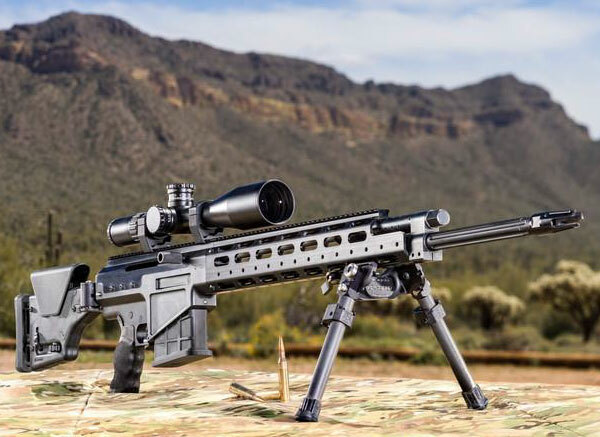 Here is the Ulfberht semi-automatic, .338 Lapua Magnum rifle from Alexander Arms. The rifle features a custom-designed gas piston operating system, steel receiver, 27.5-inch chrome moly barrel with 1:9.3″ twist, three-prong flash hider, folding Magpul PRS stock, and Geissele SSA® two-stage, match-type trigger. 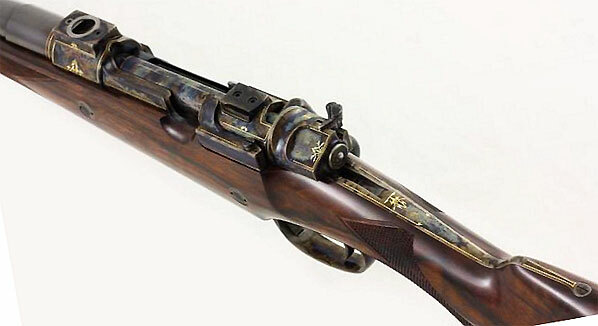 The rifle is 41.25 inches long with the stock folded and 50 inches long with the stock extended. Total rifle weight is 19.8 pounds. Bluetooth-Enabled Ear Muffs with Retractable Microphone. 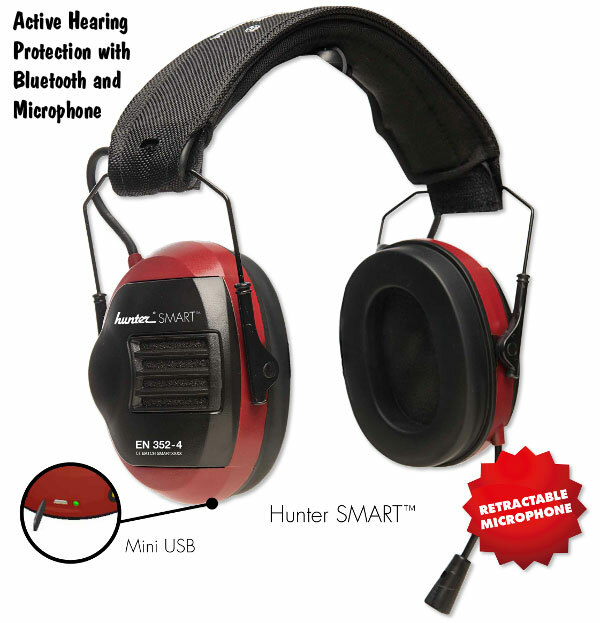 The Swedish-designed Hunter SMART Active Hearing protection system lets a hunter communicate with his guide or hunting companion. This works with reachargeable AA batteries and it can also play music. These electronic muffs boast bluetooth connectivity, with a retractable mic, and mini-USB port. Share the post "The Keys to the IWA Showcase — Searchable Product Archives"
Share the post "Gunsmithing: Installing a Picatinny Rail"